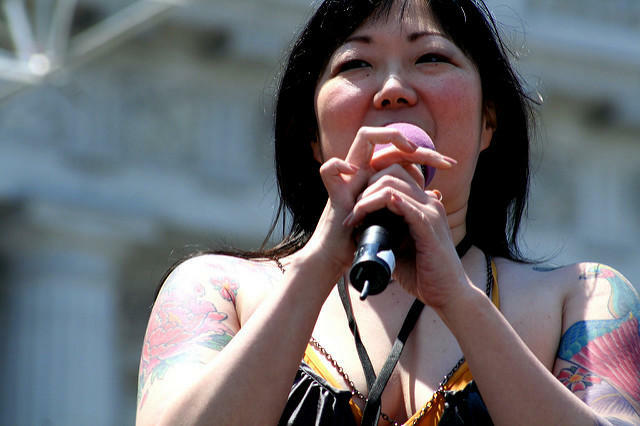 Margaret Cho is one of the most recognizable comedians working today. Margaret started at an early age, and had early success starring in her own sitcom All-American Girl for ABC. Since then, Margaret has established herself as one of the most versatile artists in show business. Aside from her successful stand-up specials, Margaret is the best-selling author of books like I'm the One That I Want and I Have Chosen to Stay and Fight. Margaret is also well-known for her work with the homeless and LGBTQ community. Recently, Margaret released the 90s-inspired musical album American Myth, available on iTunes and Amazon.com. This Comedian's Life chatted with Margaret about being a teenage comic, how Rue McClanahan helped her on the Golden Girls sequel, and the life lessons she received from Joan Rivers. For more information, visit Margaret's website at margaretcho.com.